Methane is a natural by-product in ruminants due to the fermentation of feed during digestion. It is an energy loss to the system that can be reduced with the type of feed supplied to the animals. This is both good for the farming system, the animal and the environment. The Enrich Project has shown that many shrubs can reduce the methane production of sheep; one worthy of mentioning is Eremophila glabra according to Prof. Phil Vercoe of UWA. “While it is a small plant it doesn’t need to be a large part of the animal’s diet to make a significant reduction in methane production”. 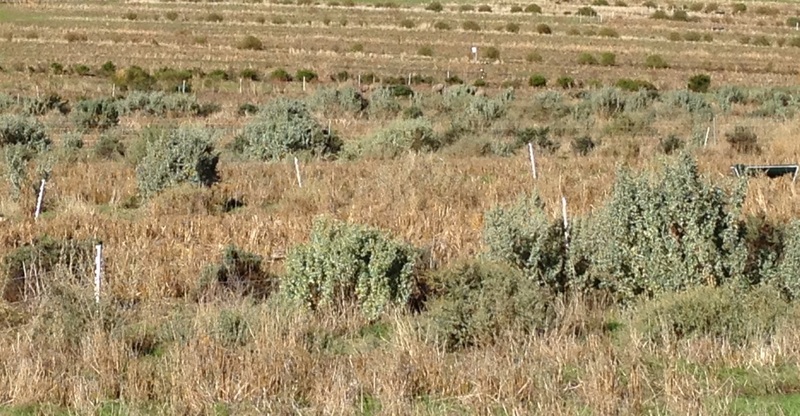 If pastures are more suited to the farming system than forage shrubs, then Biserrula is the pick of the pasture species for reducing methane emissions, by a very large margin. Biserrula is a persistent annual pasture legume that can work in a mixed farming system, with seed persisting for as many as three consecutive grain crops. Biserrula also provides an excellent source of biological nitrogen and can assist in weed management systems. By improving the annual pastures species available to sheep and integrating these with a diverse range of forage shrubs, whole of farm profitability can be improved. This can be seen in the Enrich Project’s MIDAS modelling. Animal health can be improved by eating a range of feed that incorporates a variety of nutrients and the NRM benefits of growing perennials include reducing wind and water erosion, increasing biodiversity and improving soil condition. While currently there is no CFI methodology approved for emissions avoidance in reducing methane emissions in sheep by feeding specific shrubs or pastures, there is an approved methodology for feeding nitrates to beef cattle that could be used as a complimentary methodology. But the benefits to farm productivity of adopting this system may actually be its downfall under the CFI as there is a risk that this practice will fail the additionality test and therefore be ineligible.